It is possible to have a common code at least for the marriage law in India, Justice Mustaq said. 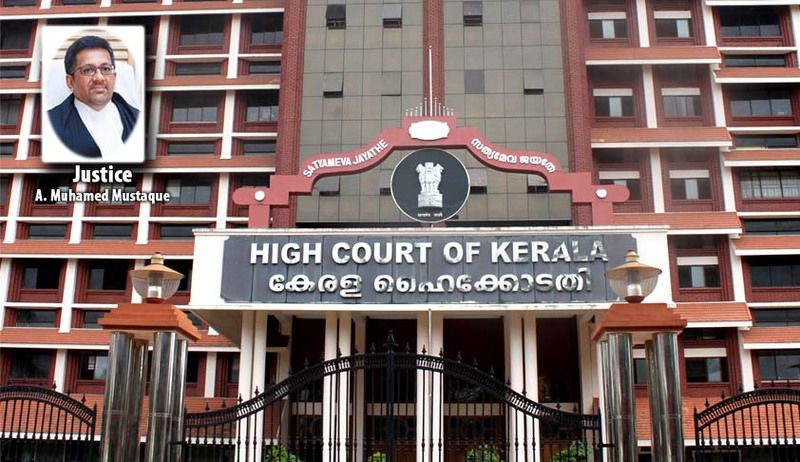 The Kerala High Court on Friday observed that State intervention, by way of legislation, to regulate triple is required in India. Justice A Muhammed Mustaq, while disposing a batch a petitions relating to Muslim divorce law, suggested a number of reforms to be introduced in Muslim personal law. “The State is constitutionally bound and committed to respect the promise of dignity and equality before law and it cannot shirk its responsibility by remaining mute spectator of the malady suffered by Muslim women in the name of religion and their inexorable quest for justice broke all the covenants of the divine law they professed to denigrate the believer and faithful,” said the bench. The court opined that had the Muslim in India been governed by the true Islamic law, Penal law would have acted as deliverance to sufferings of Muslim women in India to deter arbitrary talaq in violation of Qur'anic injunction. The court held that entrustment to effect divorce through the court in no way would affect the practice of Sharia law in accordance with Qur'anic injunction. Why is the State so hesitant to reforms? Justice Mustaq opined that it appeared from public debate that resistance is from a small section of Ulemas (scholars within the society) on the ground that Sharia is immutable and any interference would amount to negation of freedom of religion guaranteed under the constitution. “I find this dilemma of Ulema is on a conjecture of repugnancy of divine law and secular law. The State also appears as reluctant on an assumption that reforms of religious practice would offend religious freedom guaranteed under the Constitution of India,” he said. Whether personal law is a law within the meaning of Art.13 of the Constitution and can it be subjected to intervention of the State? The High Court said that the obvious reference to the custom or usage under Article 13 points out to the fact that constitution makers do not want to include personal law within the ambit of Article 13, as the same is intimately connected with liberty to practice religion of one's choice. "The constitution makers, therefore, do not want to interfere with religious practice of such protected groups except on a satisfaction that such arrangement within the group would offend public order, morality or health.The freedom to intervene by the State in the matter of religious practice is so explained in Art.25 (1). The guarantee to practice religion under Article 25 (1) certainly would include in its meaning Personal Law connected to such affairs"
But the court observed that the State can intervene in personal law to the permissible limit either by bringing legislation in tune with the religious precepts or doctrine or practices, or by making secular law not repugnant to the religious practices or beliefs of a particular group. Justice Mustaq observed that while emphasising the need for national oneness in areas where it is possible and allowing citizen to have their own identity based on religious practices or belief, endeavour shall be made for common code of conduct to regulate behavior of subjects. The need for Common Civil Code, though it is debated at different levels, still it remains a mirage for want of agreement among different groups. This essentially arises out of misconception as to the secular law. It is possible to have a common code at least for the marriage law in India. The court was of the opinion that there are many areas where there can be Common Civil Code without there being repugnance or conflict between the religious law and secular law and the marriage law is one example for codification of law. Finally, the court said it is for lawmakers to correlate law and social phenomena relating to divorce through the process of legislation to advance justice in institutionalised form. It is imperative that to advance justice, law must be formulated without any repugnance to the religious freedom guaranteed under the Constitution of India. It is for the State to consider the formulation of codified law to govern the matter, it added.